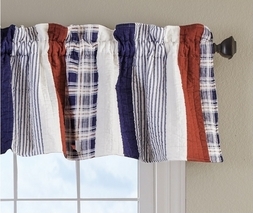 The Nautical Stripe quilted valance features classic colors in solids stripes and plaid. 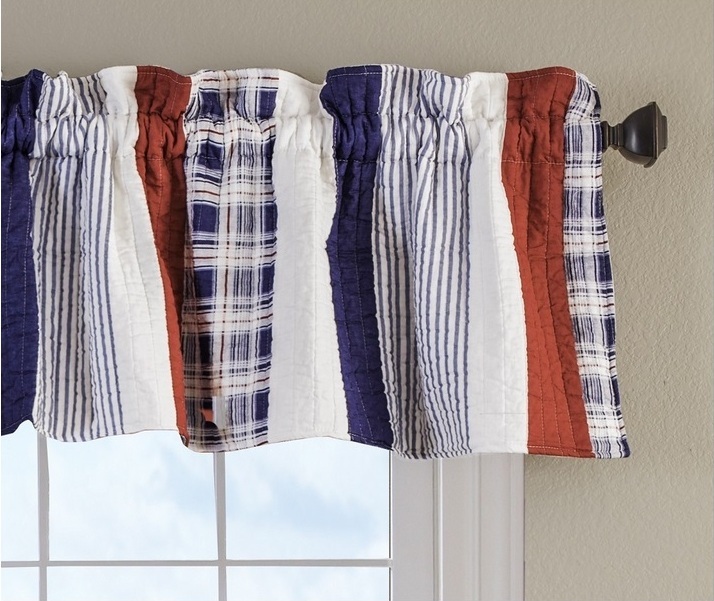 Patriotic colors compliment any bedroom theme, and reverses to a coordinating blue plaid. 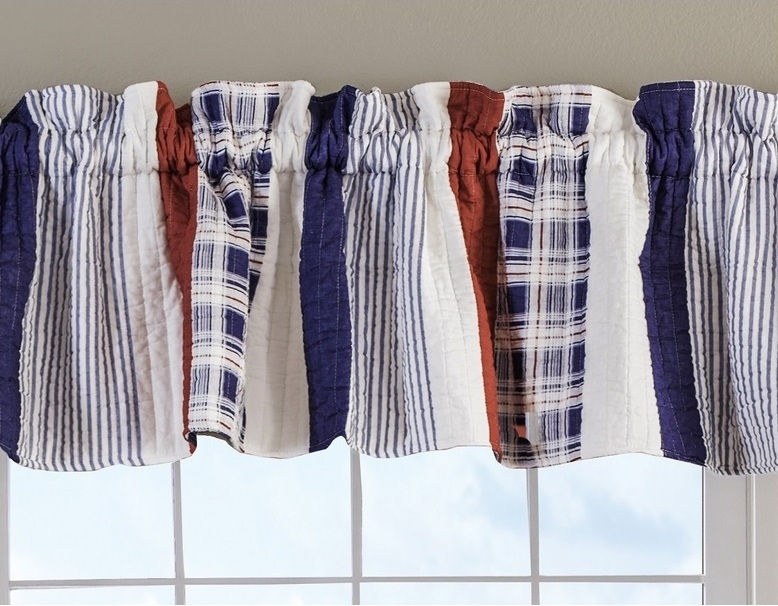 Channel stitching adds surface interest and durability.